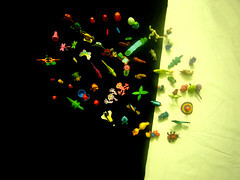 RADIANTGUY.COM: My Kinder surprise toys! I swear I am not challenging! A step to the top or the bottom?